When a Snapstreak disappears there are different reasons for this happening. 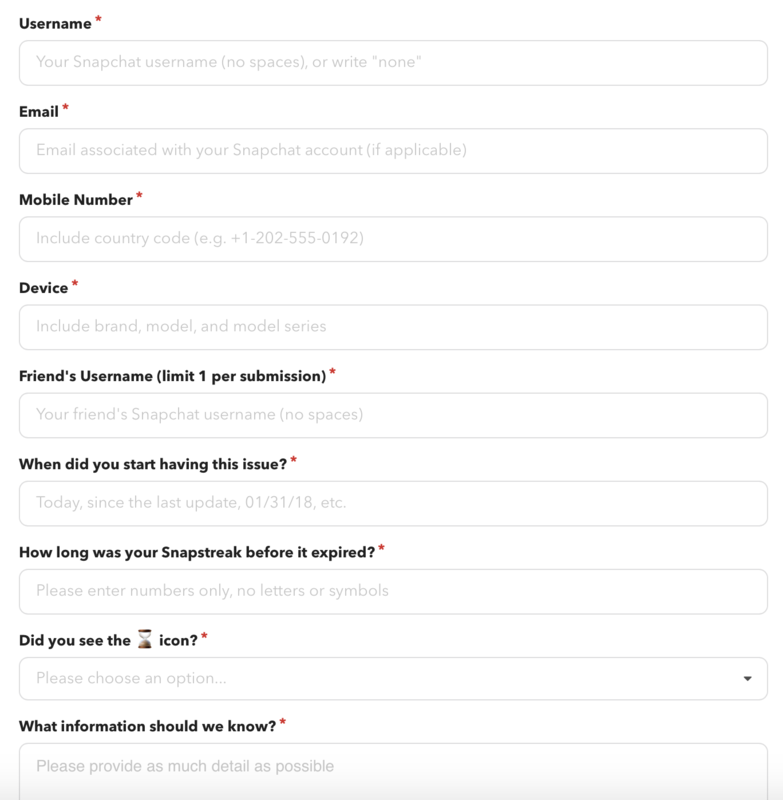 Here is one way to get a Snapstreak back if it has been taken from you incorrectly. How do I lose a Snapstreak? A Snapstreak shows the number of days in a row that you and a friend snapped each other. You can’t go for more than 24 hours without sending a snap, or the streak will be lost. How do I get a Snapstreak back? 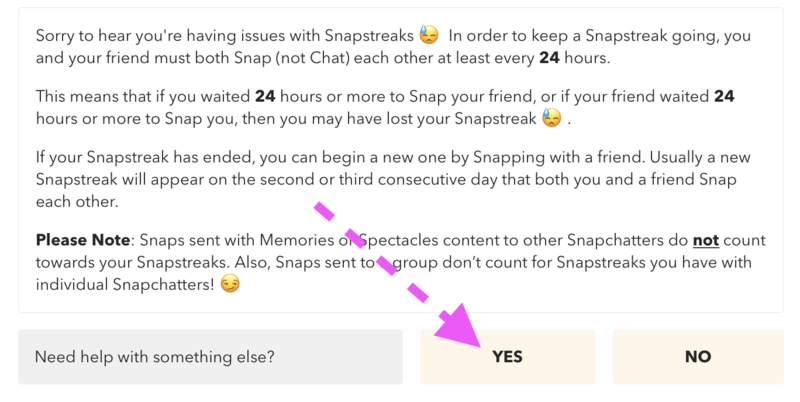 If you just forgot to snap a friend for over 24 hours there isn’t anything you can do to get the streak back, other than to start a new streak. Skip all this text and choose “YES” where it asks if you still need help. 4. After choosing yes, a form appears. Complete the answers to the questions. These will ask for your name, phone number, type of phone, and which friend you lost your Snapstreak with. 5. Remember to include as many details as you can. If you remember dates and times you last sent snaps with this friend, that will help.